Younger people are more familiar with Freddie Prinze, Jr. than with his late father. However, in the 1970s, Freddie Sr. starred in one of the post popular American sitcoms of the decade. It was called Chico and the Man and it ran on NBC for four seasons, from 1974 until 1978. Freddie played Francisco "Chico" Rodriguez, an upbeat young Chicano who went searching for employment in his Mexican-American neighbourhood. That's when he crossed paths with cantankerous Ed Brown (Jack Albertson), the owner of a run-down garage. Waspy Ed was n lonely widower with a surly nature. Chico, on the other hand, was a cheerful, enterprising Mexican-American. The two men couldn't have been more different.in age, cultural background or temperament. Yet they found common ground. They forged a business partnership and actually came to respect each other. Chico was determined to make the enterprise succeed, despite Ed's bigotry and stubbornness. He cleaned up the garage and took up residence in a old van that Ed had parked inside. Somehow the hip, young Latino and the fedora-wearing curmudgeon made it work, as did Prinze and Albertson. For its time, Chico and the Man was really quite unique The series was groundbreaking in that it was set in the barrio of East Los Angeles and it featured Hispanic characters. However, during the show's third season, real-life tragedy struck when 22-year-old Freddie Prinze died from a self-inflicted gunshot wound on January 29, 1977. His rise to stardom had been fast and furious, as was his untimely death. Freddie Prinze was born Frederick Karl Pruetzel on June 22, 1954 in New York City, the son of a Puerto Rican mother, Maria Graniela Pruetzel, and a German-born father, Edward Karl Pruetzel. His father was of Hungarian descent and had immigrated to the United States from Germany in 1934. Edward Karl worked as a tool and die maker while Maria was employed in a factory. Freddie was raised in the Puerto Rican section of Washington Heights, a rough district in the northern part of the borough of Manhattan. 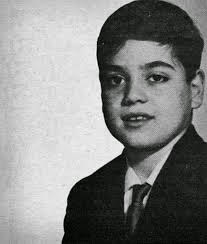 As a child, Freddie was bullied because he was heavyset and small. His mother registered him in ballet classes to help him with his weight problem. though he was more interested in music and Karate. Freddie's mother was Catholic and his father of Jewish and Lutheran backgrounds. Although his mother took him to mass on Sundays, Freddie was first educated at a private Lutheran elementary school. He later took it upon himself to audition for the Fiorella LaGuardia High School of the Performing Arts. Freddie was accepted at LaGuardia, where he studied drama and ballet. He also exhibited a flair for comedy by telling jokes in the bathroom at lunchtime. "I had to," he explained to People magazine in the September 16, 1974 article by S.J. Diamond. "I couldn't fight and I wasn't particularly interested in the academic. So I started doing satiric bits in the school bathroom. Guys would cut class to come and see me." While in high school, Freddie secured a job as a stand-up comedian at the Improv Club in New York. He also performed at coffee houses and night clubs in The Big Apple. Although Freddie's comedic talents gained recognition, the teenager was required to work late night hours and was absent from school quite frequently. In his senior year, Freddie decided to drop out of high school pursue a full-time career as a stand-up. Much of his humour was observational and based upon his own ethnic and cultural background. He he would jokingly introduce himself as a "Hungarican." Freddie's idolized the late Lenny Bruce, an outspoken stand-up comedian and satirist. At the same time, he was wary of being compared to the irreverent comic who died of a drug overdose at the age of 40 on August 3, 1966. In the 1974 People magazine article by S.J. Diamond, Freddie is quoted as saying,that "the only comparison that I want to Lenny Bruce is that I'm funny. I'm Freddie Prinze, Puerto Rican all the way." In 1973, Freddie made his first television appearance on Jack Paar Tonite with fellow guest Charlton Heston. 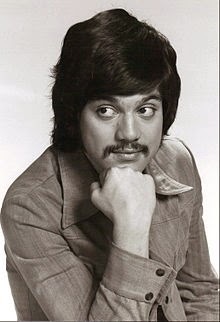 He received fulsome praise from Heston who, according to IMdb.com, said that one day he hoped he would be able to say he was a guest on the first television show on which Freddie Prinze performed. Freddie's star really began to rise on December 6, 1973 when he appeared on The Tonight Show with Johnny Carson. Carson was impressed with Freddie's performance and invited the young comedian to sit down with him. In those day, when the King of Late Night expressed his approval, it was a sign that stardom was just around the corner. It certainly helped that Sammy Davis, Jr., a guest on the Carson show on that occasion and he too was impressed by the 19-year-old funnyman. 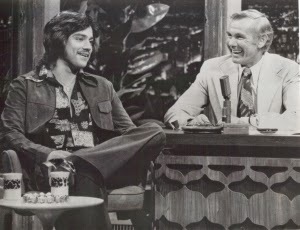 A later appearance on The Tonight Show by Freddie,, circa 1975. Freddie's appearance on The Tonight Show caught the eye of producer James Komack. Komack, who had begun his own career as a stand-up comedian, was developing a new sticom for NBC. He invited Freddie to audition for the part of a Mexican-American in the forthcoming series. Chico and the Man premiered on September 13, 1974 with Freddie cast as Chico and Jack Albertson as "The Man." It was an instant hit and Freddie Prinze became an overnight sensation. His picture appeared on numerous magazine covers and he even had his own Chico and the Man catch phrase - “Looking gooooood!" The pudgy kid from Washington Heights had made the big time. He was now a bonafide TV star. Not everyone was pleased with Chico and the Man, though. 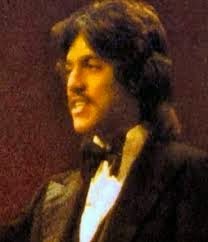 Some Mexican-American groups disliked the show's portrayal of Chicanos and they were not happy that Freddie was of Puertro Rican background rather than a real Mexican-American. Even Ray Andrade, the Mexican American associate producer of the show, criticized Freddie for not having the right accent. He said he had offered to take him to the barrio, but the actor refused to go. 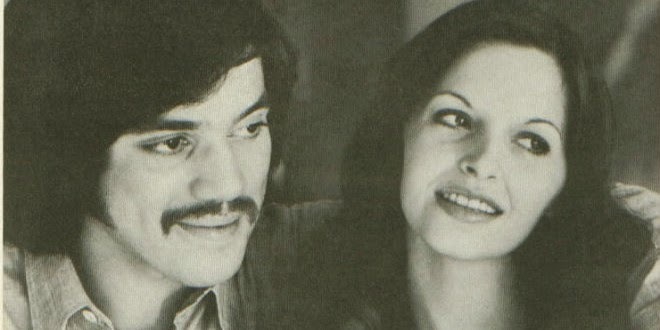 On October 13, 1975, Freddie Prinze married Katherine Elaine (Barber) Cochran, at Caesar's Palace in Las Vegas. It was Katherine's third marriage (according to a January 28, 1977 Associated Press wire story) and 21-year-old Freddie's first. The couple had a son, Freddie James Prinze, born in Los Angeles on March 8, 1976. The child, now known as Freddie Prinze, Jr., was given his middle name in honour of Chico and the Man creator James Komack. On the surface, Freddie Prinze seemed to be living the American Dream. His life appeared to be an overwhelming success. He was the star of a hit television comedy. He had fame, wealth and a beautiful wife and child. In fact, he even performed at the inaugural ball for then-President Jimmy Carter on January 20, 1977. Sadly, it was his final public appearance and his last performance as an entertainer. The harsh reality was that Freddie was beset by a slew of enormous personal problems, including anxiety and drug dependency (He had a cocaine habit and he was addicted to Quaaludes). 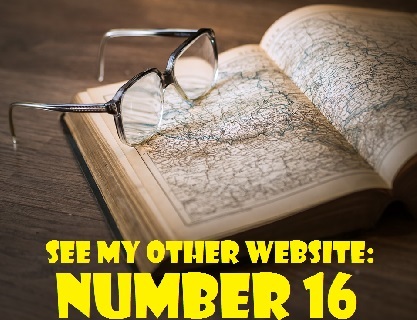 His list of woes also included depression and a crumbling marriage. According to Peter Greenberg, producer of the 1979 television biography Can You Hear the Laughter? : The Story of Freddie Prinze: "His judgment was impaired by his age, drugs and incredible success." On November 16, 1976, Freddie was arrested for driving under the influence of Quaaludes. A highway patrol officer stated that the entertainer was driving erratically and that he found a prescription bottle which contained a small amount of methaqualone, a tranquilizer, in his shirt pocket. Freddie pleaded innocent to the misdemeanor and was scheduled to appear in Los Angeles Superior Court on February 28, 1977. Soon after Freddies's DUI arrest, Katherine filed for divorce on the grounds that his drug dependence was a danger to their baby son. With his marriage in tatters, Freddie moved into a suite at the swank Beverly Comstock Hotel in West Los Angeles. On January 26, 1977, Kathy, 26, placed a restraining order on her estranged husband. The next day, Freddie paid a visit to the home of James Komack. According to Komack, Prinze showed no signs of personal problems and "didn't leave here suicidal." He said that Freddie "could have been playing out some strange dramatic scene or it could have been a pure accident. Maybe the thought the gun was empty. I just don't know." After his visit with Komack, a distraught Freddie returned to the Beverley Comstock and remained in his hotel room. He began making calls of desperation to his mother, some friends and his manager, Marvin "Dusty" Snyder. According to police Lt. Dan Cooke, the actor's secretary and psychiatrist went to the hotel to lift his spirits. They left about 2 a.m. Others stayed, however, and were present at the time of the shooting, including Dusty Snyder, who had rushed to Freddie's hotel to prevent him from harming himself. I must end it. There's no hope left. I'll be at peace. No one had anything to do with this. My decision totally. Freddie Prinze's death was originally ruled a suicide. However, that ruling was later changed to an accidental shooting due to the influence of Quaaludes. In her 1978 book, The Freddie Prinze Story, Freddie's mother, Maria, wrote poignantly about her son's demise. The people around Freddie knew his problems. They knew of his bouts with depression. They knew about his court struggles, his marriage problems, his battle with drugs. They knew he was physically and mentally wasted, on the edge of a complete breakdown, yet no one seemed to notice. 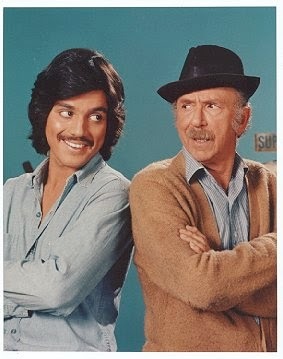 Freddie Prinze's final appearance on Chico and the Man is in an episode called "Ed Talks to God" (Season 3, Episode 18, Air Date: March 4, 1977). It was taped hours before Freddie shot himself and was scheduled to air on the night of his death. After Freddie's passing, the show's producers seriously considered cancelling the series. Instead, they established that Chico had left Ed's garage to go into business with his father, played by Caesar Romero. A new character, 12-year-old Raul Garcia (Gabriel Melgar), was introduced to replace the departed Chico and the show continued until the end of its fourth season in 1978. Freddie Prinze, Jr. was only 10 months when his father took his own life. According to a January 28, 1999 article by Allan Johnson in the Chicago Tribune, Kathy moved the child out of Hollywood when he was almost four years old "partly so her son could have a more normal upbringing than would have been possible in the town that claimed her husband's life." Freddie Jr. was raised in Albuquerque, New Mexico by his mother and grandmother. The Man he ain't so hard to understand. I know that you can lend a helping hand. You can see the morning sun if you try. Yes they will for Chico and the Man. 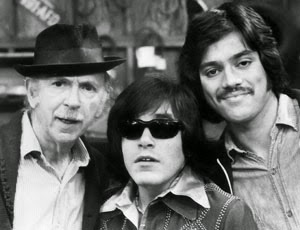 José Feliciano guest-starred in a 1976 episode on Chico and the Man entitled "Chico's Cousin Pepe" (Season 2, Episode 19, Air Date: February 11, 1976). In the episode, he played Chico's blind cousin, Pepe, a popular Latino singer. * The Washington Heights district of New York City, where Freddie Prinze grew up, is now mainly populated by immigrants from the Dominican Republic and their offspring. * Veteran actor Jack Albertson died of colon cancer in Hollywood, California on November 25, 1981. He was 74 years old at the time of his passing. 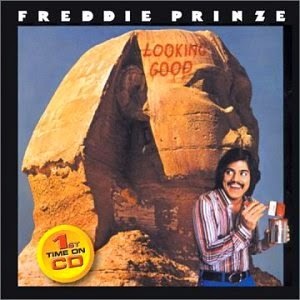 * In 1975, Freddie Prinze released a comedy album titled "Looking Good," after his Chico and the Man catch phrase. The album was taped live at Mister.Kelly's, a well-known Chicago nightclub which operated from 1957 until 1975. * Freddie Prinze starred in a 1976 television movie called The Million Dollar Rip-Off. He portrayed Muff Kovak, an electronics whiz and ex-con. Kovic and four female accomplices devise a scheme to defraud the Chicago Transit Authority of millions of dollars. 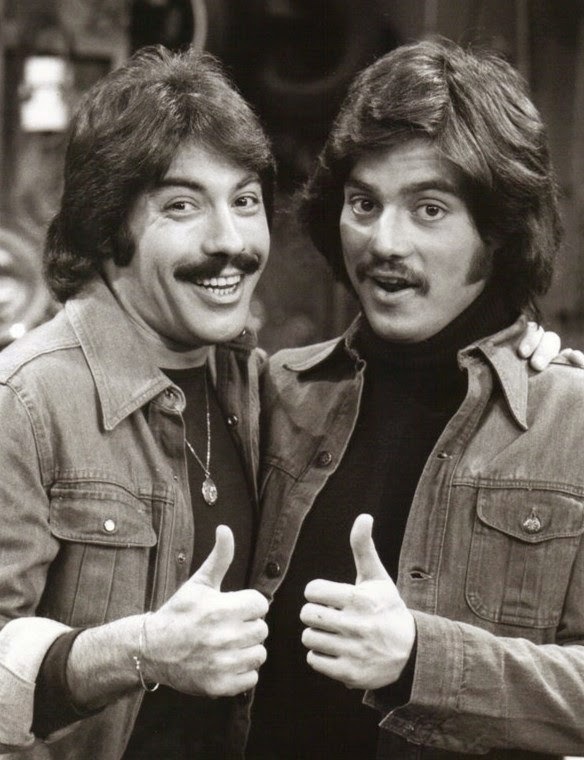 * Freddie Prinze and singer Tony Orlando were good friend and they definitely resembled each other. Freddie made two special guest appearances on the Tony Orlando and Dawn CBS variety show. His first appearance aired on November 19, 1975 and his second appearance aired on October 5, 1976. Tony returned the favour by appearing on Freddie's show. He portrayed Tomas Garcia, the look-alike former fiance of Chico's new love, in an episode of Chico and the Man entitled "The Big Brush-Off" (Season 2, Episode 17, Air Date: January 28, 1976). 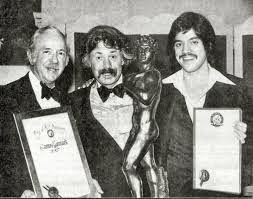 * Tony Orlando and Jack Albertson delivered eulogies at Freddie's funeral. * Freddie made several appearances on the Dean Martin Celebrity Roasts, including the roasts for Sammy Davis, Jr. and Muhammad Ali. * Producer James Komack died of heart failure on December 24, 1997. He was 73 years old. Komack once told Time magazine that Freddie Prinze was "the best young comedian I've seen come along in 20 years. He said that Freddie "has a brilliant, spooky, insight into people's behaviour, a pinpoint iconoclastic view of of the world." * Freddie Prinze, Jr., Freddie's only child, speaks Spanish and is a well-known actor. In 2002, he married fellow actor Sarah Michelle Gellar. They have two children, Charlotte Grace (born 2009) and Rocky James (born 2012), the grandchildren of Freddie Prinze, Sr.
Freddies's DUI arrest and what Katherine did subsequently on grounds of his drug dependence was a severe example. One need to ask their lawyer if they are up to date on all current DUI state laws. One shouldn't be afraid why asking specific questions about a case and how it will impact. You need to find the best Los Angeles DUI lawyer for your case if you are looking for an acquittal. First, the fact that his estranged wife had been married/divorced twice before at a young age should give any man pause. Then, to suddenly have problems soon after having a kid, and then wanting a divorce (she knew beforehand that he had drug problems) after only 15 months is of someone who's immature and possibly wanting a payout. He is, of course, not blameless---but if marriage is what most people regard it as---then she should have stood by him at any cost, no matter what. I realize this is probably easier said than done, but the situation does seem like it illustrates how two people are clearly not ready for the responsibilities of marriage and all that comes with it, good and bad. Putting a restraining order and only giving visitation rights to the father (when he needs his family to give him a reason to live in view of his drug addictions) very likely drove home the need to do away with himself because of the feeling that hope was lost. Gotta wonder .... having a child with someone who has a drug problem then later filing for divorce because the parents drug problem is a danger to the child. Well, Freddie was no fool....he cut her completely out of his will...hope she didn't spend all of the settlement $$ she got when se sued his doctor.. I chatted with one of the writers of Chico and the Man recently. He theorized that Freddie was so despondent and depressed in general because he was gay and in the closet. I have no idea if this is true, but that's what the impression was of someone who worked with him for a few years. I recognize a few items in his bio here that might actually point to it. Theorized that he was gay? Sorry, but I don't put much stock into someone who worked with him for awhile and "theorized" that they knew all about his sexuality. Those who knew him much better such as his family and close friends and those who he grew up with have stated that he was despondent and depressed because he was undiagnosed bipolar. Back in the seventies, this wasn't addressed as it is today. The particular drugs he was taking were also the worse thing someone with this disease could take, making depression almost unbearable. Not that it matters, but as far as his sexually, his family and close friends have come out and said he was always absolutely obsessed with women, even from a young age. No one person knows what happens exactly in someone's mind, but I tend to believe those who were the very closest to him from childhood over anyone else. Reading multiple comments and articles about this young entertainer is upsetting, to say the least. I feel that deep down inside he must have been basically a good man, trying to make it in a business to help his parents into a better life, and then to be disillusioned with the not so great aspects of the field. Having had, apparently, a difficult childhood to begin with, and carried over into his young manhood---and then to come upon someone who was supposed to support and love him---everything fell to pieces. Never, never expect a person with an addiction(s) to promise to resolve it on their own---or even with help obtained---they can't. It is a lifelong situation that must be dealt with day by day---and preferably with someone who has the patience, love, and understanding to withstand the bumpy road ahead. Why do so many people expect their significant partners to change once they start having a problem after or even before marriage? It is immature and unrealistic to go into a relationship thinking that it can be resolved so quickly. If only we had the resources then as we do today, and maybe there might have been a chance to get him the help he so desperately needed. Also, the fact that if indeed, he wanted the help---would have been a step in the right direction. I only wish peace and rest for this poor young man, and know that he did bring much happiness to millions and is not forgotten. I wonder if he had been sexually abused as a child....there were well known reports that he was suicidal after a breakup with a girlfriend at the age of 17, well before he went to California and became a star. It was also reported he was into co-caine by the time he was sixteen...to me that seems to be a pretty tight profile of someone who's endured a lot of soul destroying pain that childhood sexual abuse causes.